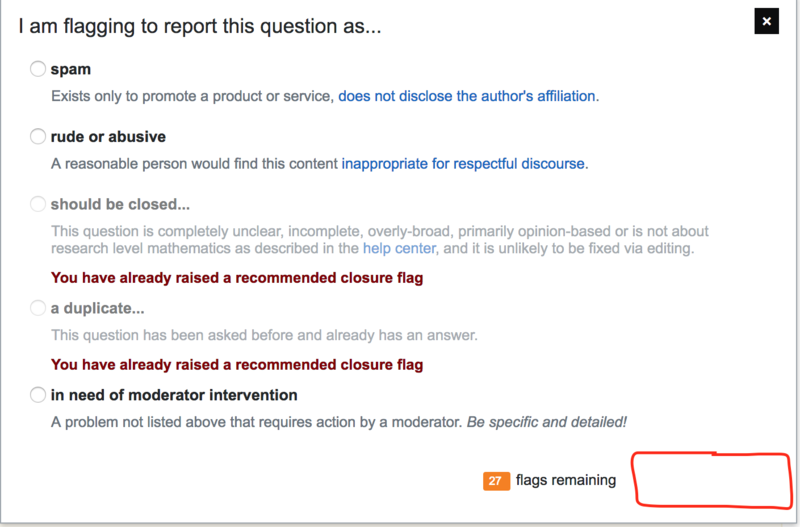 Since a while, it's possible to retract a flag by opening the flag dialog again and clicking the 'Retract flag' button. Of course, if the flag is already handled, retracting isn't possible. In this case, the MathOverflow site design hides the button instead of graying it out. Can the disabled 'Retract flag' button be displayed in light gray instead of not showing it at all? 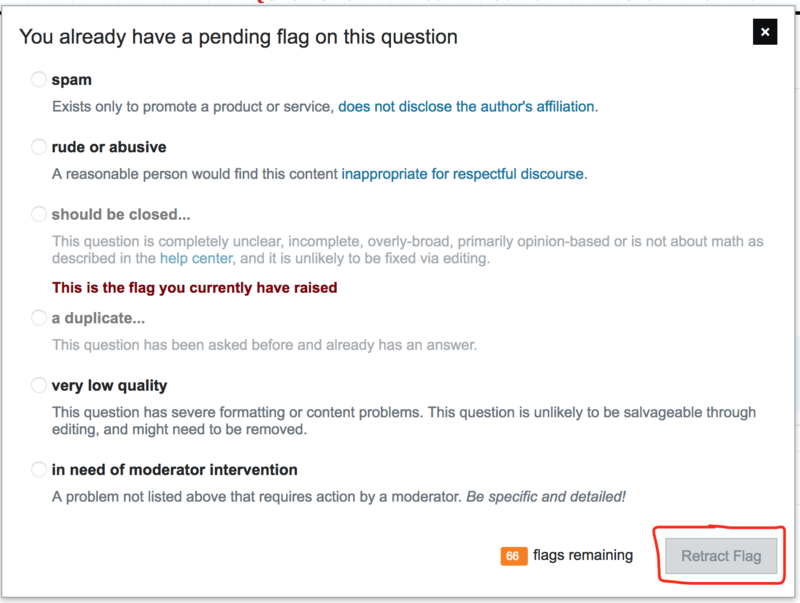 Browse other questions tagged bug status-completed design flagging .